Outlander season 1 Blu Ray is the complete season 1 Blu Ray with Caitriona Balfe, Sam Heughan and Duncan Lacroix. Outlander Blu Ray is adapted from Diana Gabaldon's international best selling books and spans the genres of romance, science fiction, history and adventure into one epic tale in one of the most beautiful backdrops of stunning scenery you'll ever see. I had a few people mention this was out and it was worth a look. Outlander follows the story of Claire Randall, a married nurse from 1945 who is mysteriously taken back in time to 1743, where she quickly realises she needs to adapt to her surroundings as her life is threatened, especially if it comes out she has come from the future. It is a time when the witchcraft trials were happening across the country as well as overseas. When she is forced to marry Jamie, an extremely chivalrous and romantic young Scottish warrior, a very passionate affair is ignited that tears Claire's heart between two very different men in two irreconcilable lives and centuries. 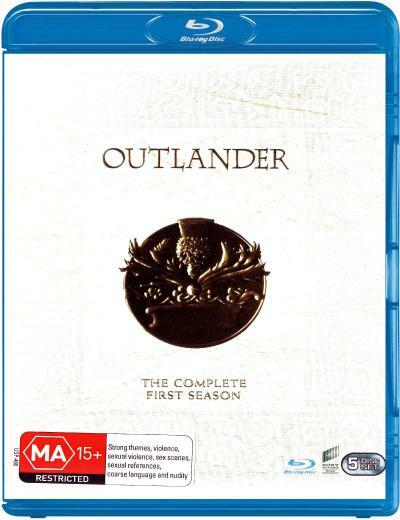 Click the button below to add the OUTLANDER - COMPLETE SEASON 1 (BLU RAY) to your wish list.